Cten and Alyssa. 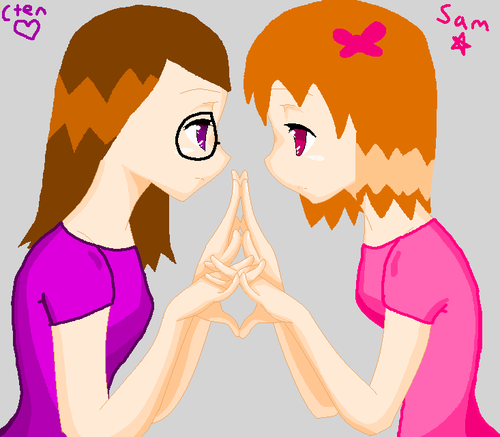 The girl in the purple is Cten, The girl in the rosa is Alyssa, but ppl call her Sam.. HD Wallpaper and background images in the Invader Zim FanCharacters club tagged: jhonen vasquez. 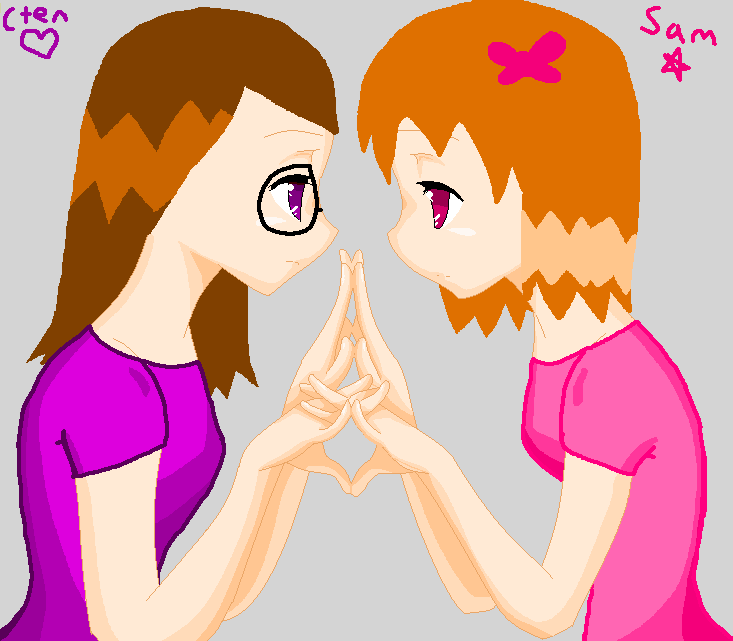 The girl in the purple is Cten, The girl in the rosa is Alyssa, but ppl call her Sam.